Award-winning college professor and adviser Bill Coplin lays down the essential skills students need to survive and succeed in today’s job market, based on his extensive interviews with employers, recruiters, HR specialists, and employed college grads. Going beyond test scores and GPAs, Coplin teaches students how to maximize their college experience by focusing on ten crucial skill groups: Work Ethic, Physical Performance, Speaking, Writing, Teamwork, Influencing People, Research, Number Crunching, Critical Thinking, and Problem Solving. 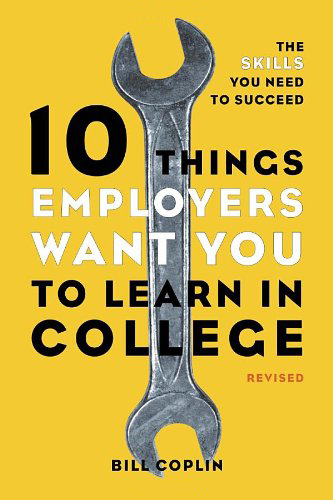 10 Things Employers Want You to Learn in College gives students the tools they need to prepare during their undergraduate years to impress potential employers, land a higher-paying job, and start on the road to career security and satisfaction.